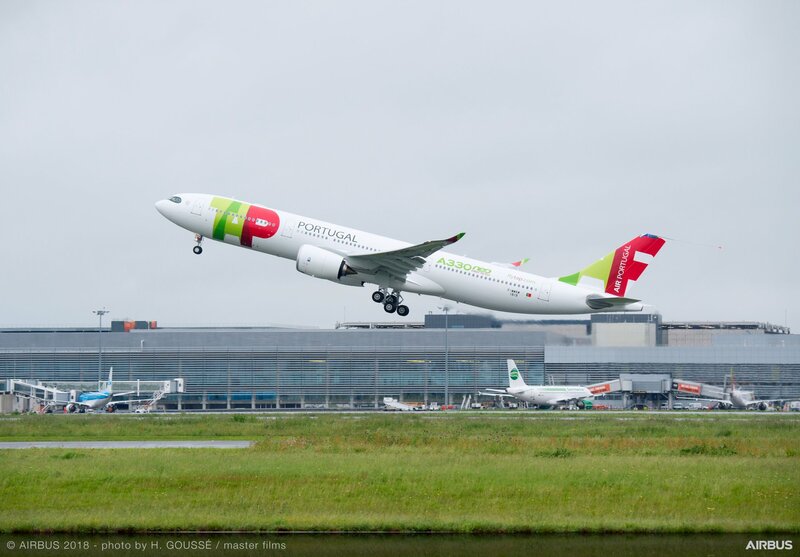 An Airbus A330neo in the colors of launch customer TAP Air Portugal has embarked on a worldwide tour to demonstrate its readiness for airline operations, Airbus announced Monday. As a final step in the aircraft certification phase, function and reliability tests planned during the tour include ETOPS missions, landing at diversion airports, and testing airport handling services. Plans call for the A330neo to fly past Airbus’s European factories and head to 15 major airports in five continents. The company expects the airplane to accumulate 150 flight test hours during three trips. The first A330-900 production aircraft carries an Airspace by Airbus cabin. It first flew on May 15, when it began flight testing to check cabin systems such as air conditioning. The route-proving tests form part of the last trials required for type certification, expected by the end of the summer. Two A330-900 flight-test aircraft and the TAP customer aircraft now participate in the flight-test program, which will reach 1,000 flight hours during the tour of the Airbus plants. Plans call for the certification development program for the two A330neo variants to last around 1,400 flight-test hours, comprising 1,100 flight hours for the A330-900 campaign and 300 flight hours for the smaller A330-800. Airbus launched the A330-900 and -800 simultaneously in July 2014. The company stresses the negligible extra cost of developing the smaller -800 due to the fact that the variants share 99 percent commonality. To improve the A330neo’s attractiveness and accommodate demands from several unidentified customers, Airbus offers the aircraft with an increased maximum takeoff weight of 251 tonnes, up from 242 tonnes, enabling what it calls “true long-haul widebody operations.” The A330-800, at 251 tonnes, can fly up to 8,150 nm with full passenger load in a three-class configuration, while the A330-900 flies as far as 7,200 nm fully loaded, or another 650 nm compared to the respective standard A330neo variants. Airbus offers the higher mtow A330neo as an option and expects EIS in 2020. Firm orders for the A330-900 now stand at 214, while the A330-800 lost its sole remaining customer in May, when Hawaiian Airlines canceled its order for six airplanes. Launch customer TAP Air Portugal has ordered 10 of the -900 jetliners and plans to operate a similar number on lease. AirAsia X by far ranks as the largest customer, having placed an order for 66 A330-900s.